My opponent does not favor passage of SB54, the California Values Act, making California a sanctuary state. I do. When it comes to keeping our communities safe, it’s important that people have trust in law enforcement. After all, people are less likely to call police for an emergency or to report a crime if they believe it could result in deportation. Under this SB54, state and local law enforcement officers would not be able to assist immigration officials in separating families and terrorizing communities. 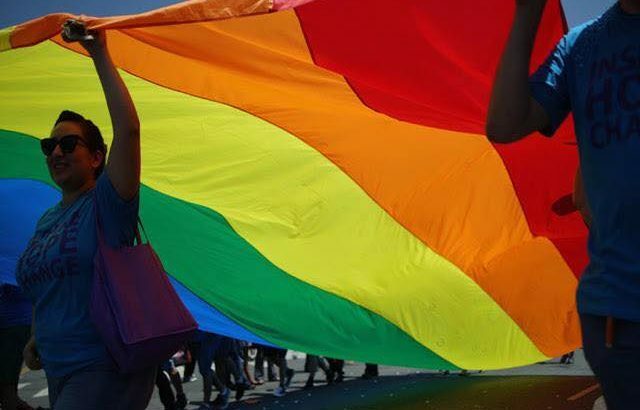 Here are 5 reasons why we all should support this bill. 1) It prevents local and state police from asking people about their immigration status. There is already mistrust between our communities and immigration officers who ask people for “papers.” Having local police also ask for “papers” incites more fear and could potentially deter people from calling the police during an emergency or deter them from reporting crimes. 2) It prevents local and state police from asking immigration and border agents to be interpreters. A call for help should not be a call for deportation. Allowing immigration officers to act as interpreters erodes community trust and threatens public safety. It encourages more “show me your papers” policing that offends fairness and equity. 3) It prevents local and state police from giving immigration and border agents access to individuals in prisons and jails. Federal agencies have no jurisdiction over state prisons and local jails. They should not be allowed to enter these facilities to apprehend people without showing a warrant. When immigration and border agents assert the the power to seize people without warrants, they undercut our constitutional protections and set a dangerous precedent for federal overreach. 4) It prevents local and state police from arresting people for violations of immigration law. Local and state police officers are not immigration officials. Police officers should be focusing on keeping their communities safe and not tasked with duties outside of their jurisdiction. 5) It requires schools, health facilities, and courthouses to adopt policies that limit assistance with Immigration officials. People should feel secure when traveling to school, attending medical appointments, or conducting business in the courts. These are everyday travels that should not result in harassment from immigration officials or deportation. 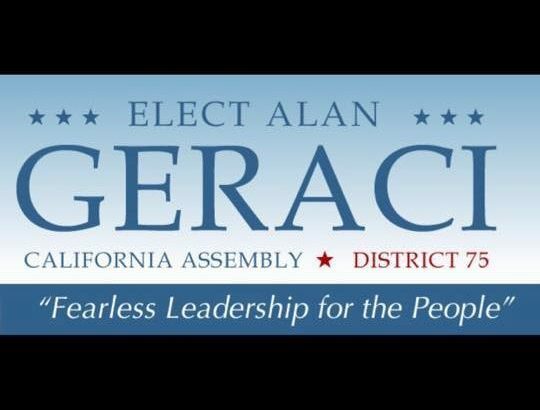 Meet candidate for 75th Assembly District Alan Geraci for a hearty discussion about the state of his campaign, legislative goals for California and just plain fun. 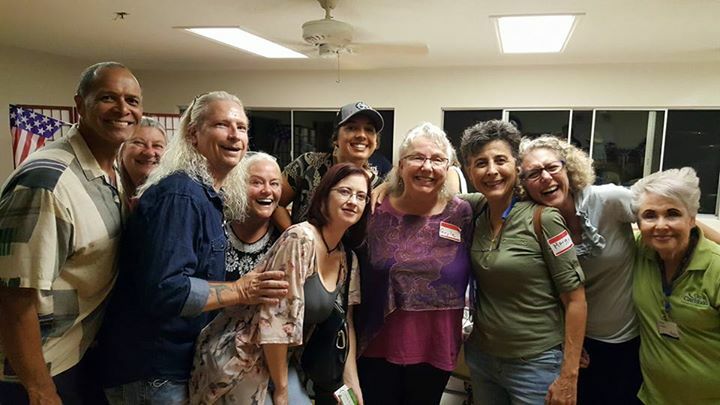 Loved meeting Gayle McLaughlin and seeing North County progressives tonight. Do not accept Speaker Rendon’s attempt to kill SB562 as the final word. 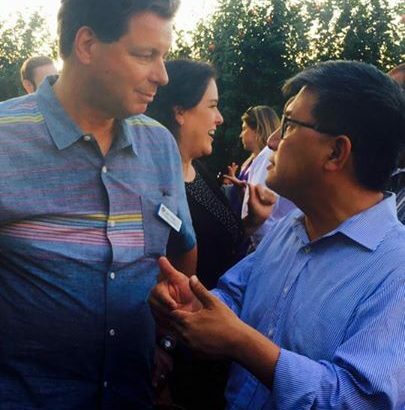 Discussing healthcare legislation with our next Governor, Hon. John Chaing at the Run Women Run event at Bay City Brewing Co. As our Comptroller, he has some definite ideas about getting SB562 over the finish line. Please join me and my friends at NextGen Climate. The State Legislature will vote on California’s polluters pay law this week – and the vote is expected to be tight. Will you call 916-621-6048 and urge your legislators to vote YES on AB 398 and AB 617 to continue California’s climate leadership and clean up our air? I called Marie Waldren but have little hope she cares about our District.